One name that stands out from the list of players of the 1940s and 1950s is that of Ġużi Buttigieg. He was one of the best forwards to emerge from that glorious era of Maltese football. Buttigieg was born in 1923 in Ħamrun. As a young lad he played football in the streets and countryside which, in those days, still surrounded his locality. At 12 years of age he was already scoring goals for Ħamrun Primary School and Ħamrun Scouts in junior competitions. Even at this early age his natural agility and ball-control and, above all, his knack of scoring goals were already raising eyebrows in the football-mad district of Ħamrun. He could also play and shoot with both feet. His left foot, especially, was lethal but he preferred to play on the right, either as an inside-forward or on the wing. This ability to play on both flanks baffled defenders as he switched sides easily. Buttigieg was a calm man. At least, on a football field he rarely lost his temper even though at times he was the victim of nasty tackles by vicious defenders. Before the war, he played Second Division football for Rainbows FC, Balzan Youths and Birkirkara. During the war he was drafted into the 1st Coast Regiment RMA where he joined some of the best Maltese footballers of the era. With the RMA he played regularly in the Services Soccer League and he was picked many times to play for the full Army XI. In 1943, when competitive football was resumed after the debris of the Second World War, he joined Valletta FC. He stayed with the Citizens up to 1946 helping them to win the league in successive seasons, 1944-45 and 1945-46, and the Cassar Cup in 1943-44. 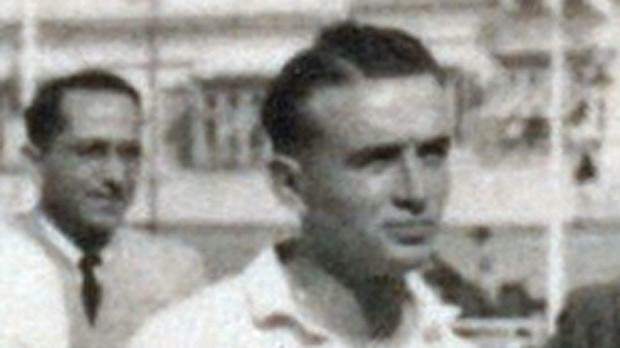 At the end of the 1945-46 campaign, he joined Ħamrun Spartans. The Reds were at the time re-emerging from a long slumber as one of the top teams on the island. In his first season with his home-town club, Buttigieg won his third league medal and followed that with a Cassar Cup and a Scicluna Cup B medal. Buttigieg remained with the Reds for ten seasons during which he scored 56 goals in 123 league matches. He also scored another 26 goals in other 41 competitive matches. Buttigieg was undoubtedly one of the best forwards of the post-war era and rivalled even the great Tony Nicholl for the title of the deadliest goal-scorer in the history of the game in Malta. During his career he was picked to play for the MFA XI against visiting foreign clubs on only three occasions. It was a meagre total for such a prominent player. He continued playing up to 1957 when he finally gave up the game he loved so much. Buttigieg died on November 30, 1998, aged 75.